Seth Merrick leads the Workers’ Compensation team in the Rains Lucia Stern St. Phalle & Silver (“RLS”) Injury Resource and Litigation Group. Seth specializes in representing California’s injured peace officers and first responders as well as both private and public sector union employees. Seth has developed an expertise in representing injured workers with complex Workers’ Compensation needs, including those with personal injury claims and those with significant and catastrophic work-related injuries. At RLS, Seth provides Workers’ Compensation ongoing training, advice and representation to local private and public sector unions. In addition, many local government employers throughout northern California have utilized Seth for labor/management training. Seth actively supports and assists with statewide efforts to create and pass legislation favorable to RLS’ clients and all injured workers on Workers’ Compensation and retirement issues. Specifically, he has provided assistance and guidance to State legislators, the Peace Officers Research Association of California (with 69,000 members) and the California Applicant’s Attorneys Association (CAAA) where he serves on the Public Safety Committee. 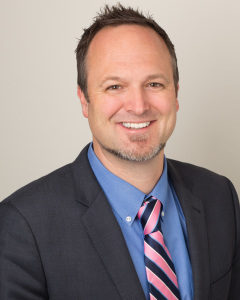 Seth’s experience includes litigating cases under the California Fair Employment and Housing Act, the U.S. Americans with Disabilities Act, Federal and State Wage and Hour laws, and the Uniformed Services Employment and Reemployment Rights Act. Seth is admitted to practice law in California State and Federal Courts and is a member of the State Bar of California Workers’ Compensation and Employment Law Sections, the Bar Association of San Francisco and CAAA. Prior to joining RLS, Seth represented injured workers with Jones Clifford, LLP, an Applicant’s firm in San Francisco focusing on sworn peace officers as well as non-sworn public employees. Prior to this, he practiced in the Employment/Civil arena bringing disability discrimination and other employment related claims on behalf of at risk employees. Seth graduated from the University of Washington in 1998, where he was on the Dean’s List with honors. He earned his Juris Doctor from the University of San Francisco School of Law in 2003, where he obtained a certificate in International and Comparative Law with honors. Seth lives in San Francisco with his wife and three children.